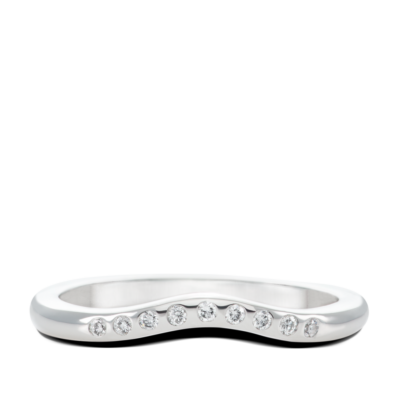 As the name implies this wedding band is designed to fit snugly around your engagement ring. It can be worn with engagement rings that have larger under-bezels. Bezel set melee follows the contour shape of the platinum band. Can be custom made in many widths. *Price includes the metal, labor & melee alone. Price subject to change according to band width.